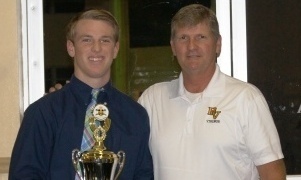 Senior defensive back, Dillon Nemeth was awarded the coveted Hill & Ryan Kiesel Award at the 2014 Football Banquet. The Hill & Ryan Kiesel Award is presented to a senior team member who exemplifies the spirit of uncompromising sportsmanship and service. It is the only team award voted by the players.